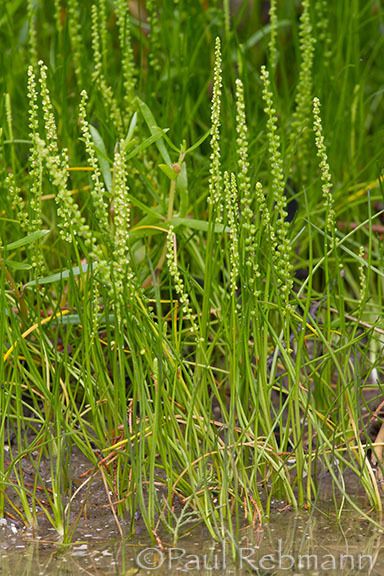 An occasional small plant of saline and brackish marshes throughout most of the coastal areas of Florida. The range includes the coastal states from Louisiana to Delaware, plus California and Oregon. 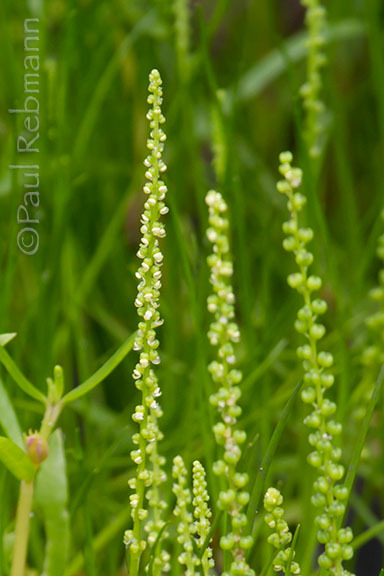 Triglochin striata is the only species of the arrowgrass (Juncaginaceae) family that occurs in Florida. In North America there are four other Triglochin species and one other genus in the family with one species (Lilaea scilloides) which is found in the western United States and Canada. Triglochin striata is a member of the Juncaginaceae - Arrow-grass family.